While we sit through a seemingly endless series of storms and heavy rain let’s remind ourselves that we had a small taste of spring a couple weeks back. 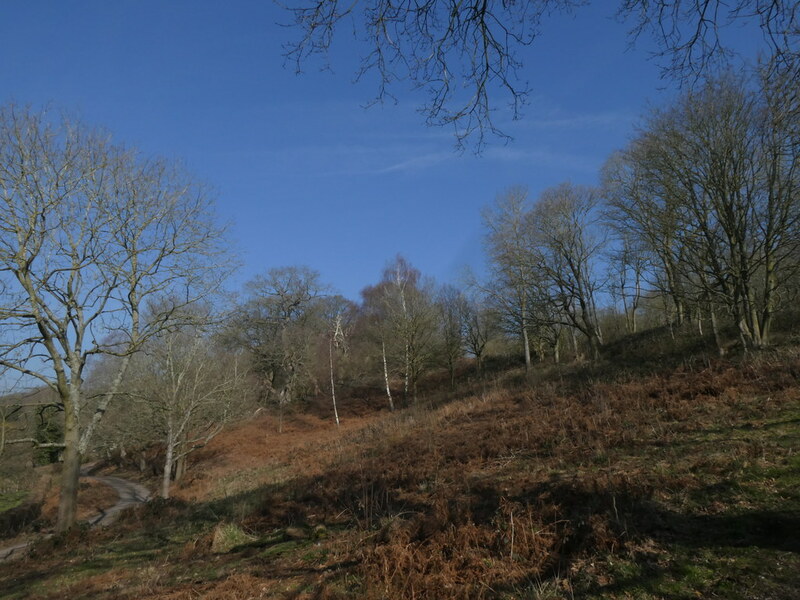 Temperatures in the high teens and beyond and blue skies. 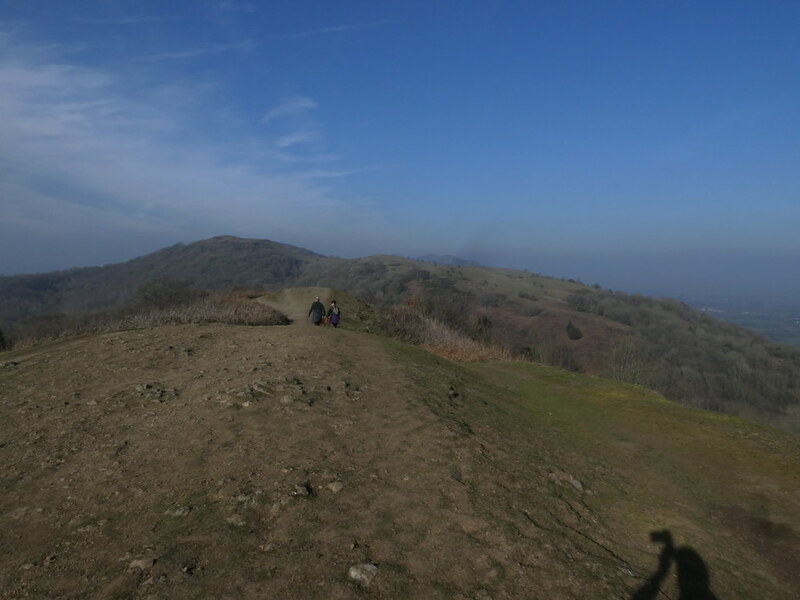 The Malverns were a go-to spot for walks (albeit short ones) when I was a kid but we limited ourselves to a small section in the middle. I’ve always had a hankering to walk them end to end and finally an opportunity presented itself. 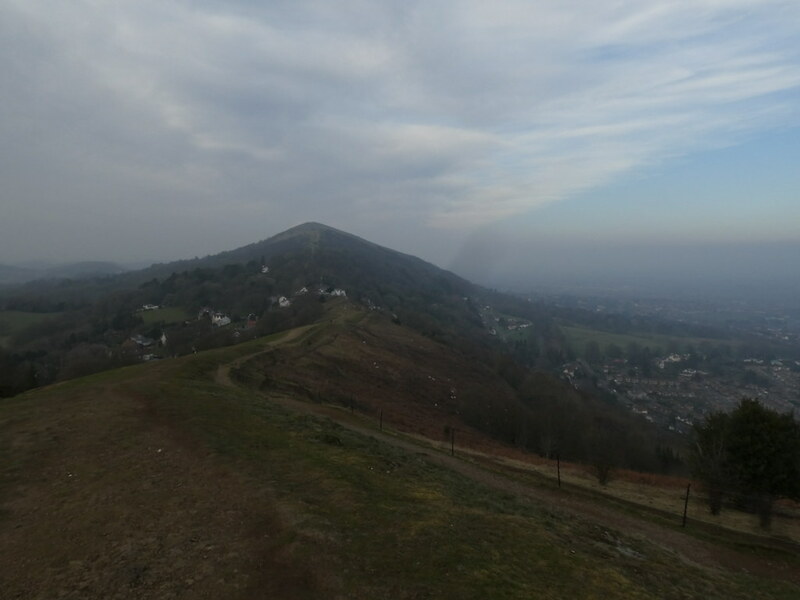 The Funsters were watching a play in Malvern so I jumped at the chance to be dropped off at one end and then be collected at the other. 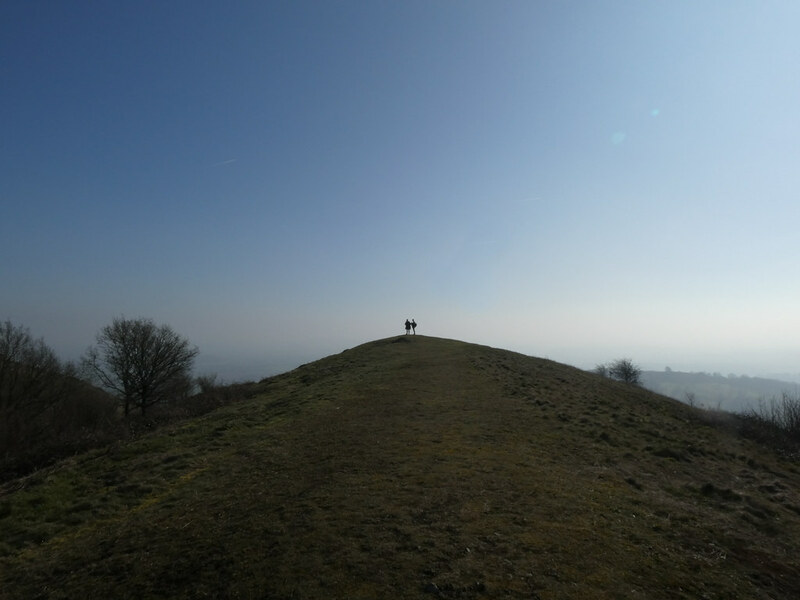 I was dutifully left by the road at the base of Chase End Hill and began my challenge. A glorious day, warm enough to walk in shorts and short sleeves. 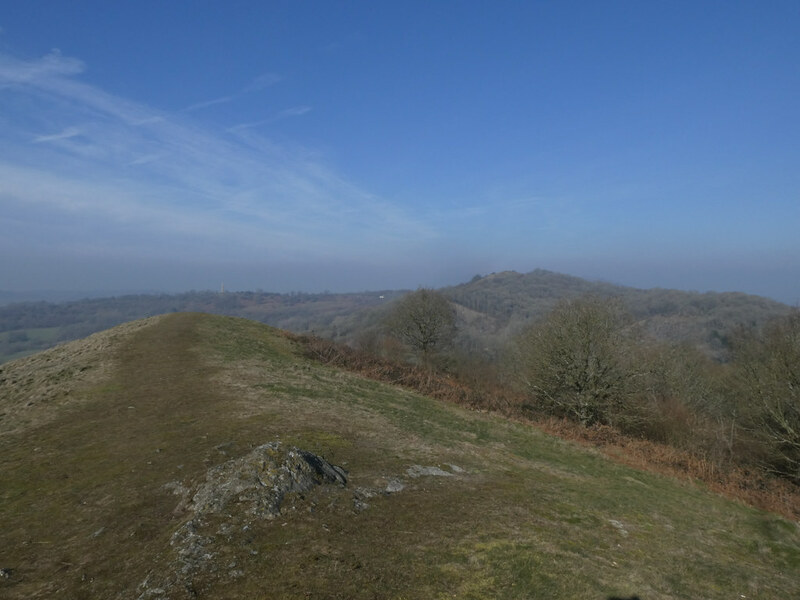 No real distant views due to the blue haze that cloaked the horizon but a wonderful day to be out with a long walk planned. 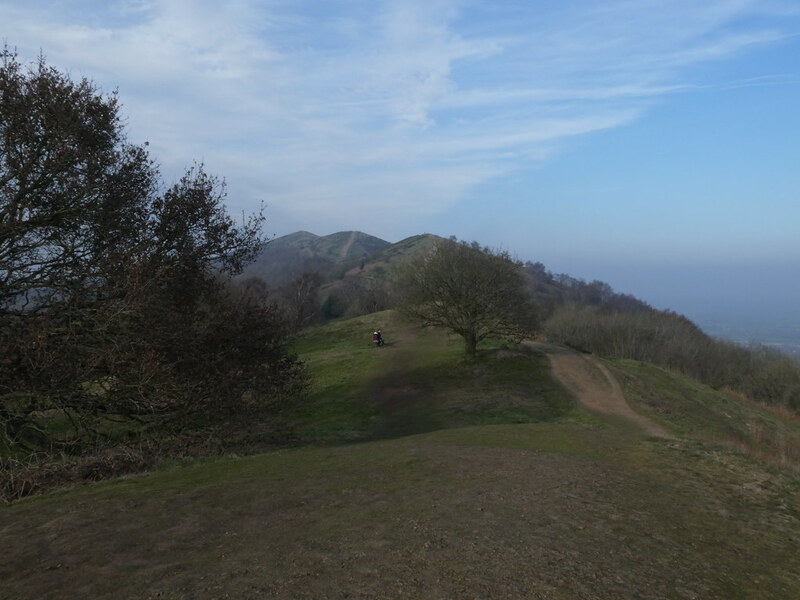 What the Malverns lack in altitude they more than make up for with descent and re-ascent, about a dozen as I recall, most of them steep. 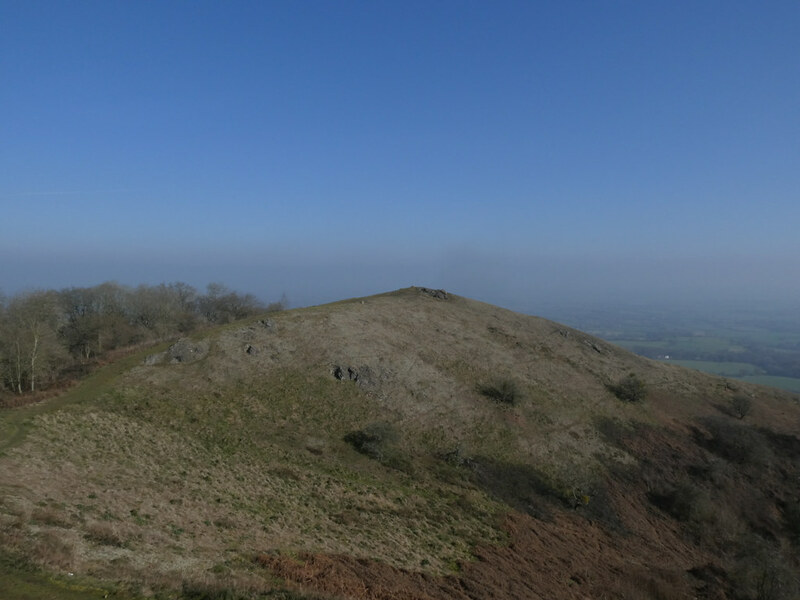 Next on the list was Ragged Stone Hill. 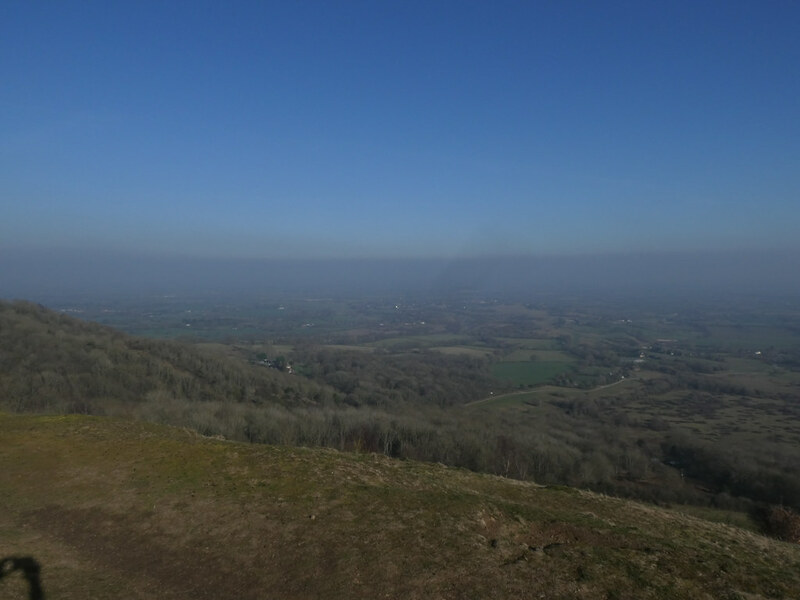 Just a handful of people but as good a view point as anywhere else in the range. 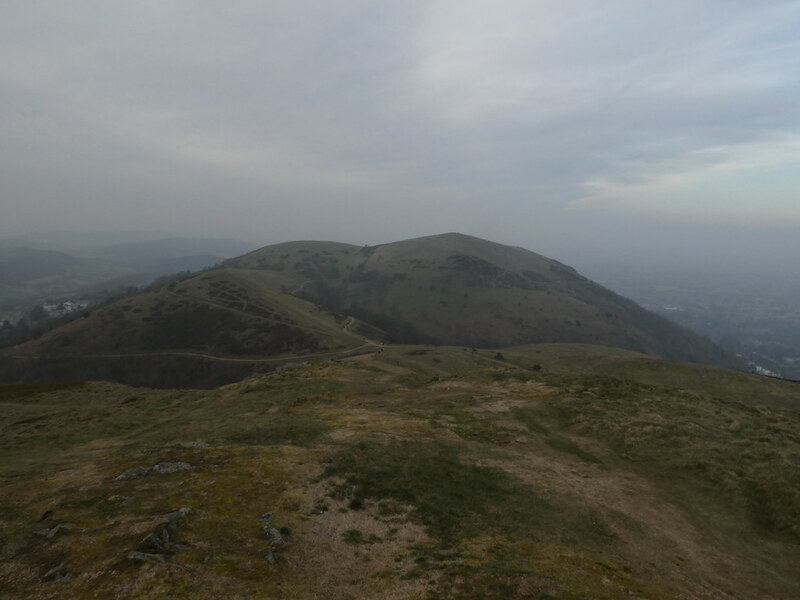 Looking north towards my next summit. 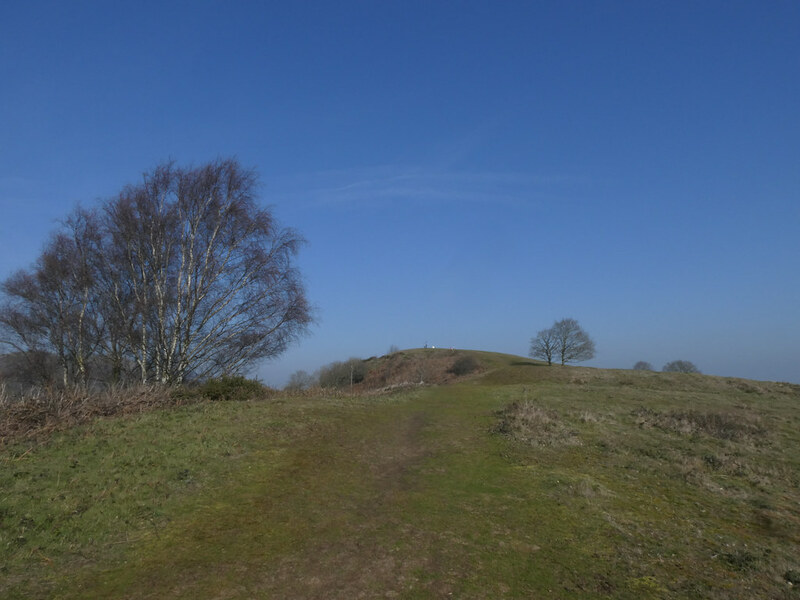 The obelisk on the unnamed hill just off the main ridge. 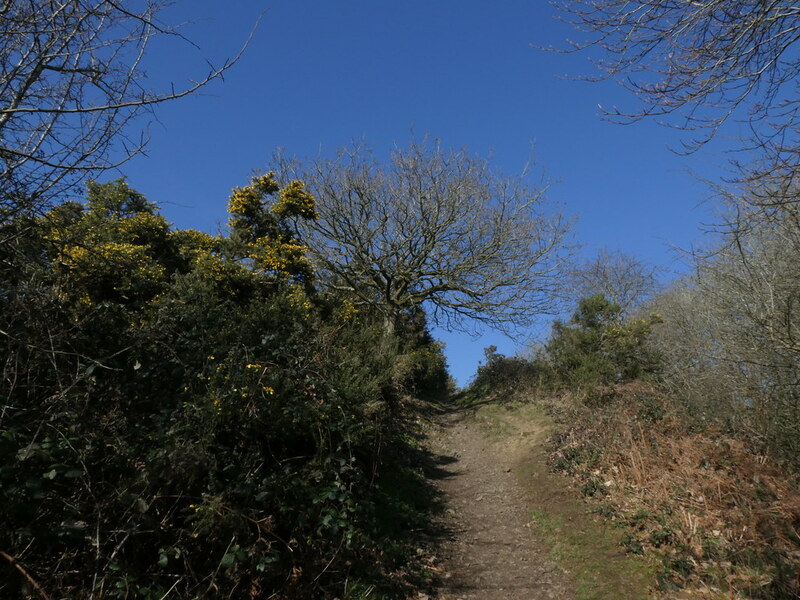 Onwards, downwards and steeply upwards to Midsummer Hill. Time for a break and a look at the next series of bumps and dips. 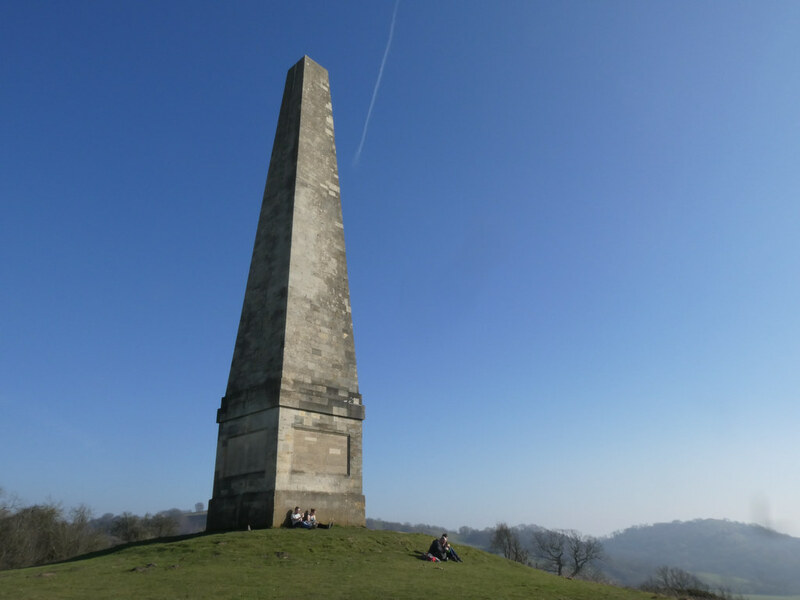 I wandered out to the obelisk to take a look. 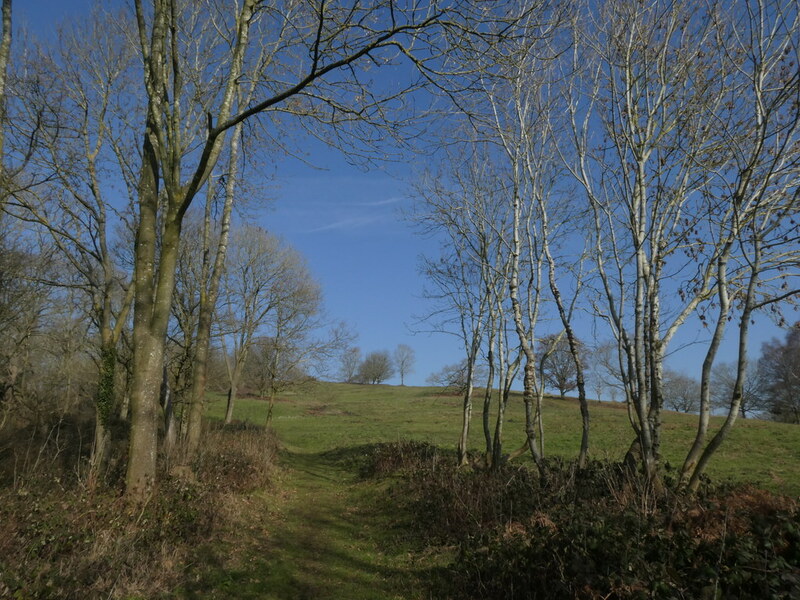 Through some muddy forest and on to the next rise, Swinyard Hill. 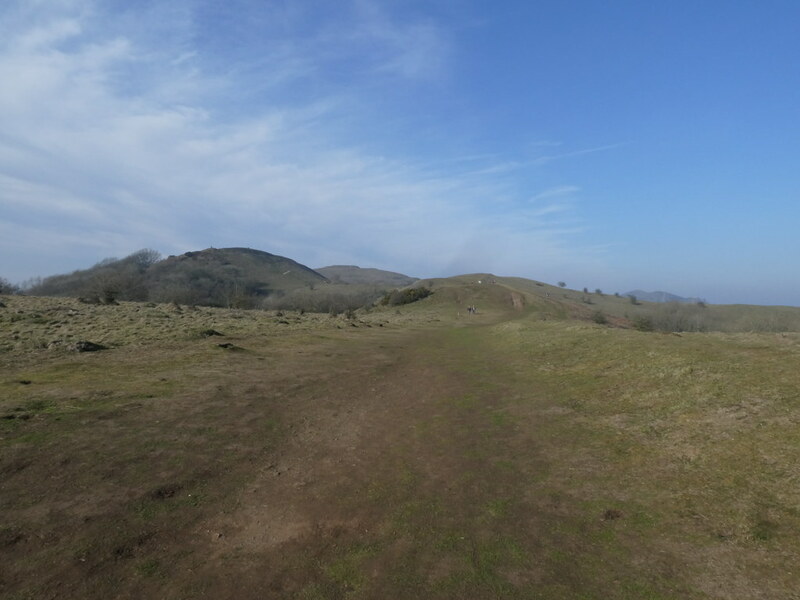 And finally to Herefordshire Beacon, also known as British Camp. 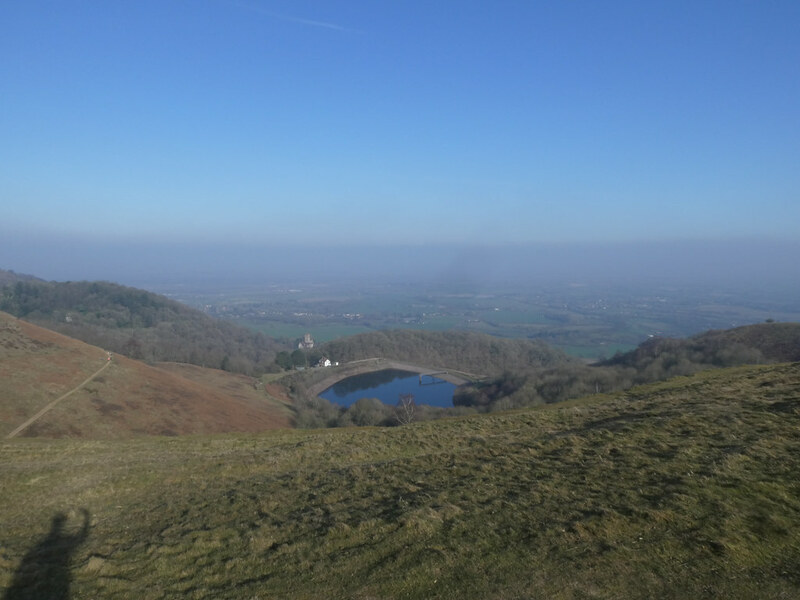 Looking over British Camp Reservoir and the Vale of Evesham. 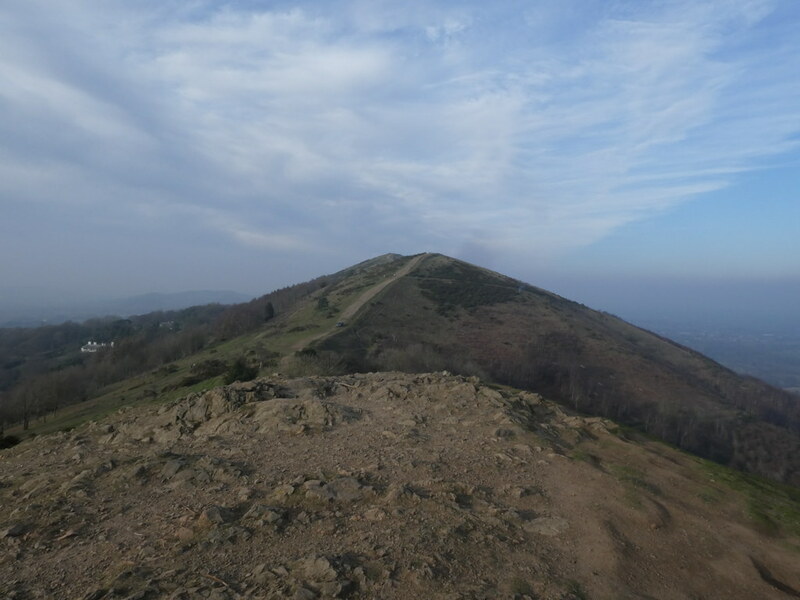 Time for a longer rest, a cuppa and a piece of cake while looking at the seemingly endless roll of Malvern summits. Refreshed I pushed on along the hardest section due to its constant ups and downs over a list of summits, Black, Pinnacle, Jubilee and Perseverance Hills. The blue skies were replaced with grey overcast ones and the wind picked up making it suddenly feel like February which of course it was. 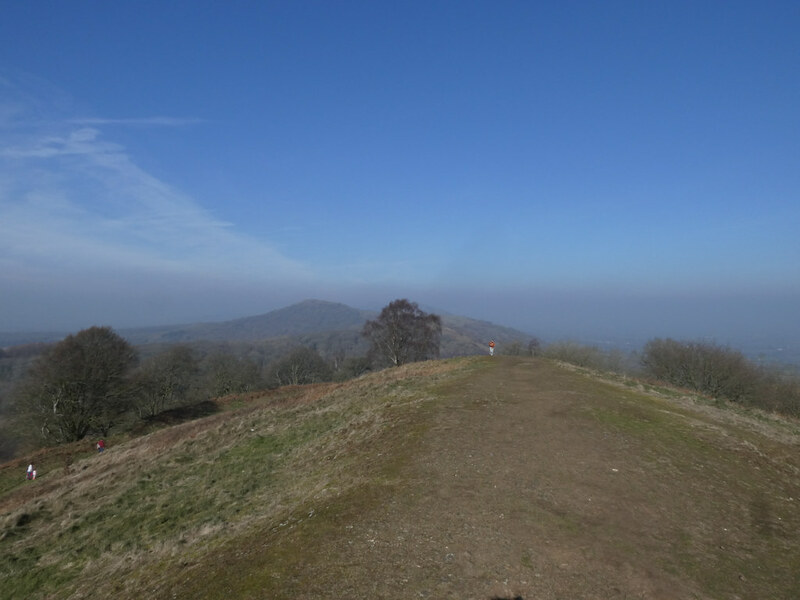 Last but far from least is the highest point, Worcestershire Beacon. 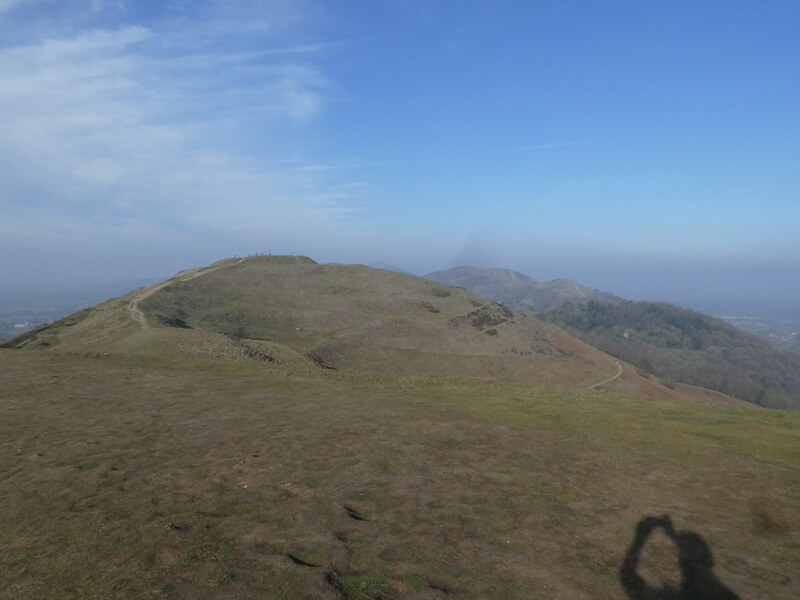 Even though I’ve walked in the Malverns many times, I don’t think I’ve ever been up here and therefore another new summit and Marilyn to add to my collection. It was getting late and the texts from the Funsters started to arrive telling me they were done and ready to pick me up. Hurrying on was not a problem as I it was getting pretty cold by now. 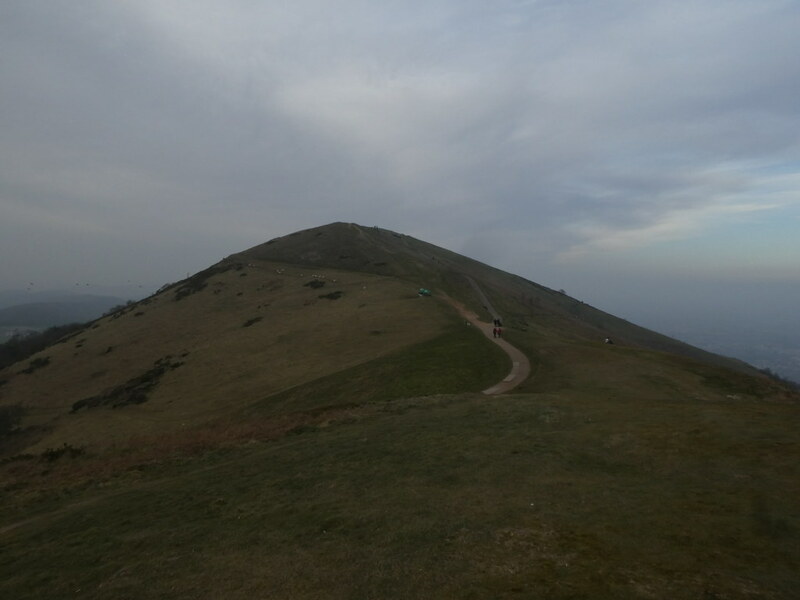 Over the final three summits at the north end of the ridge (Sugar Loaf Hill, Table Hill and the predictably named North Hill) and down to meet the family. And I’d made it. It felt like the hike was longer than the 11 miles my maps software told me (probably as I’d walked with only a couple of stops for about 5 hours). 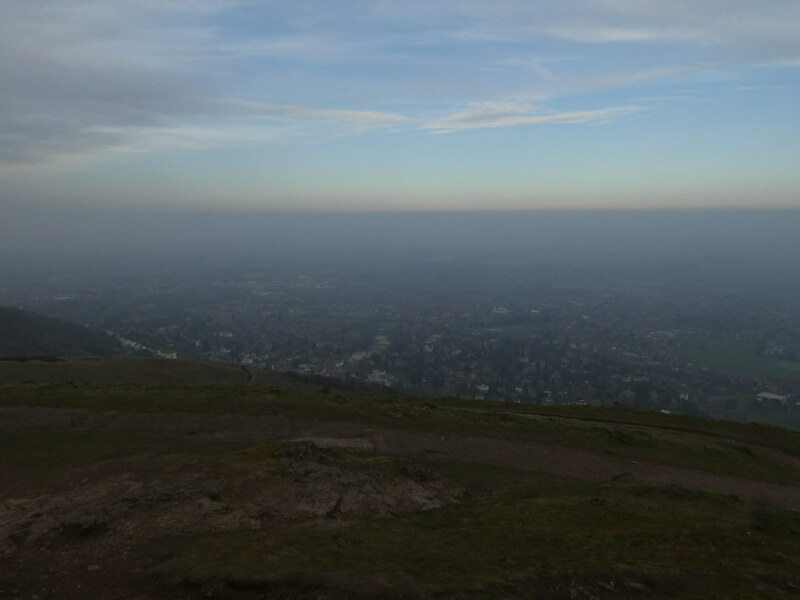 My legs did feel every bit of the 3500 feet of ascent. Not bad for a ridge that never goes above 500m. Cracking day. 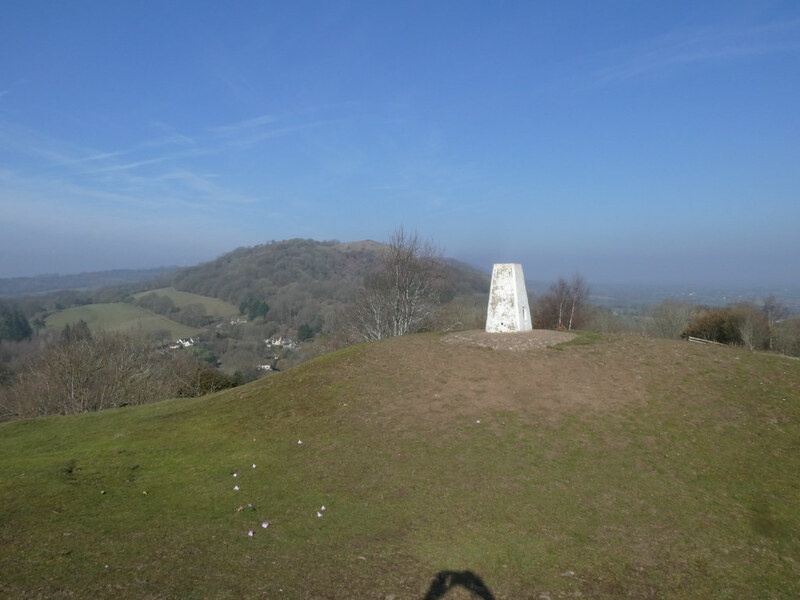 A classic walk and a beauty, one that we did many years ago starting at the same place Chase End Street and returning along the Worcestershire Way. 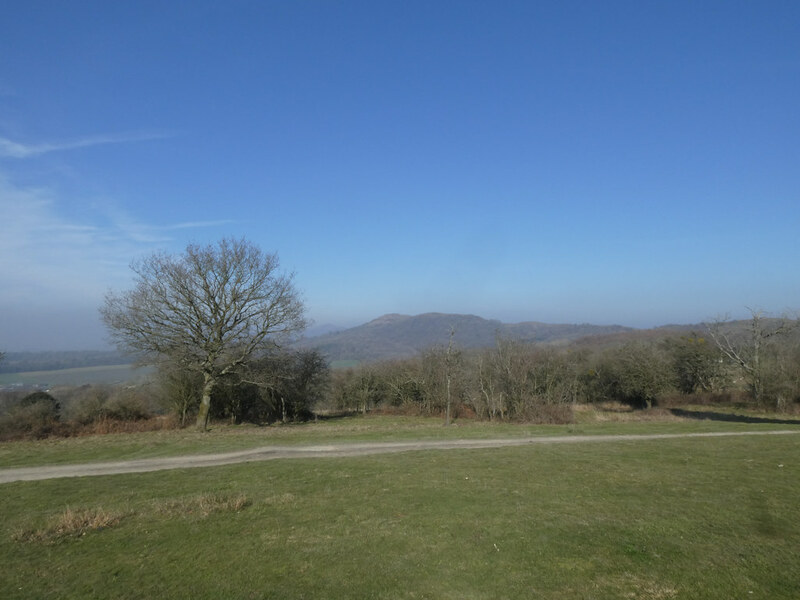 A pretty good day for views especially considering it was February. Everything fell perfectly for the lift at the start and finish. 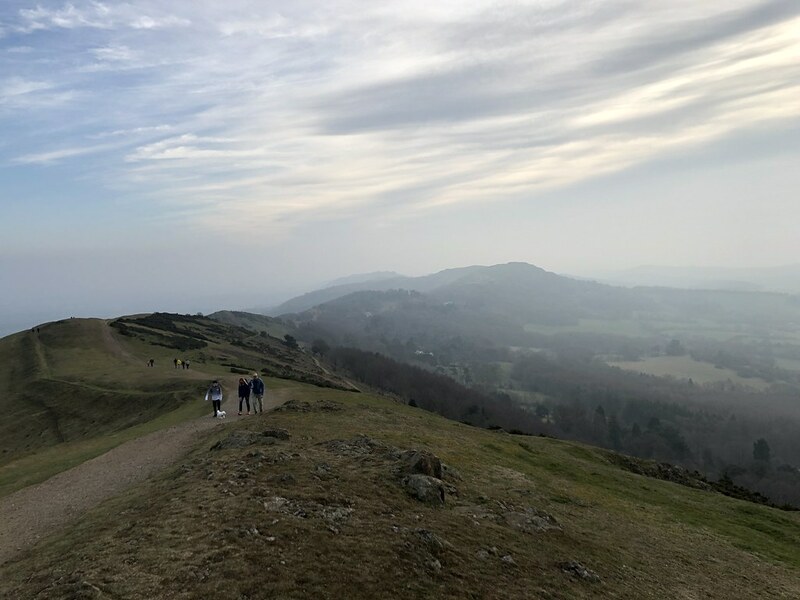 My original idea was to use the train and start from Ledbury but its a long walk to the Malverns from there and you can’t really fit in the two southern hills (which were the best as they are so quiet). Bizarre to be walking in shorts at that time of year especially n ow winter seems to be back. Nice to see the sunshine on a post after a week of horrible wind and rain. Lovely linear walk that one, can you do it with public transport to get you back to the beginning? Or maybe do the public transport first and walk back to the car. There is some fine walking to be had. The steeps bits certainly did not come that easy. The thing I always remember were the laid back Dexter cattle, so much so, that when a women walked up to one, threw her arms around the neck of the beast and gave it a hug, the animal calmly just continued chewing the cud and showing no reaction. Maybe it is something particular to the area? There were cattle all along the ridge in the middle and they looked very benign and friendly although herded in by and electric fence. I was surprised to clock up 3500 feet of ascent although when you consider all the numerous climbs it does all add up. 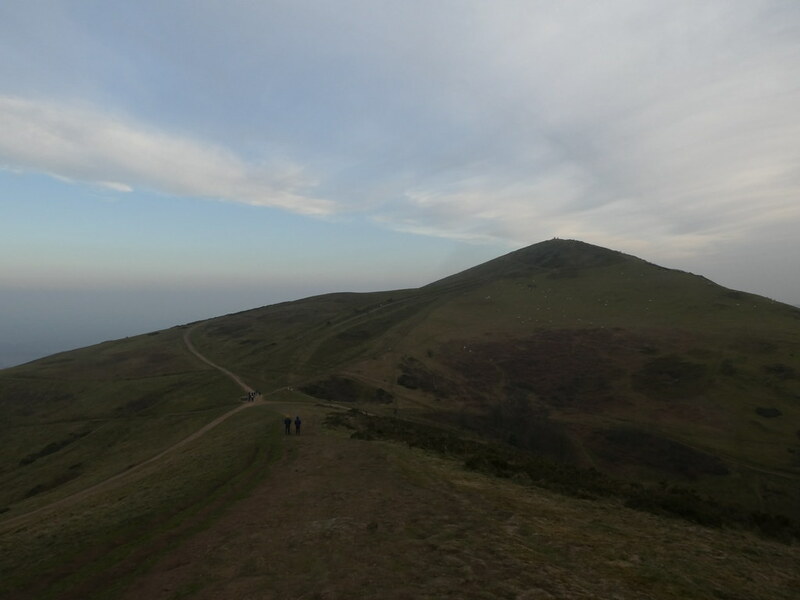 A lovely range of hills. 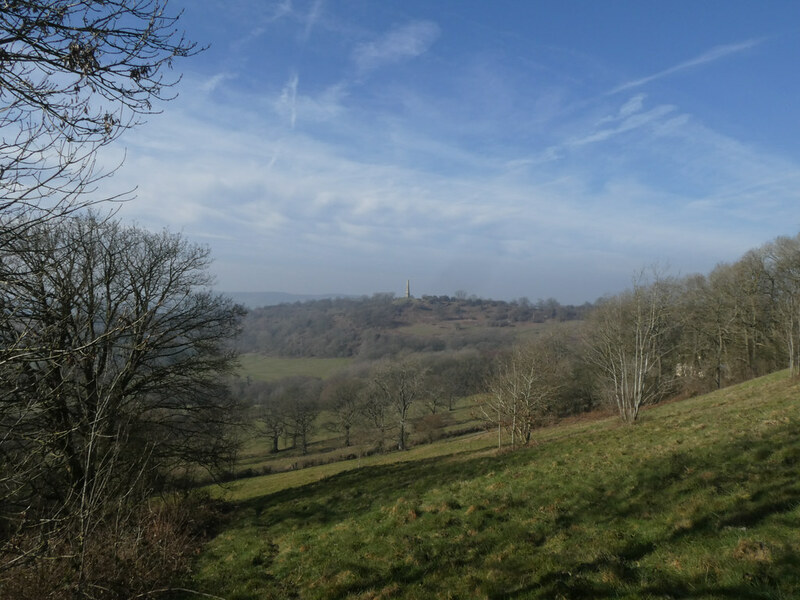 One of my favourite English small hills walks. For many years I used to drive down to South Wales via the M5 and M50 for work and also to visit family. 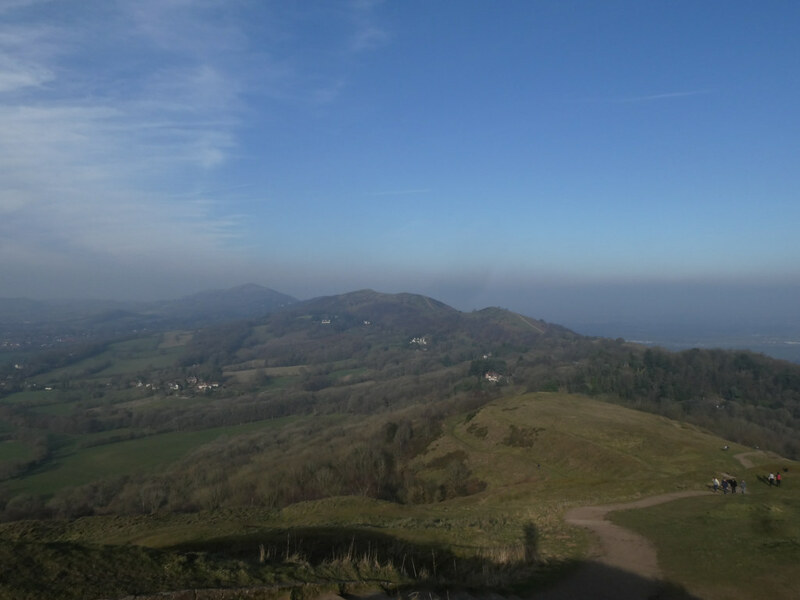 The Malverns stood outfrom the otherwise flat countryside and always looked tempting. 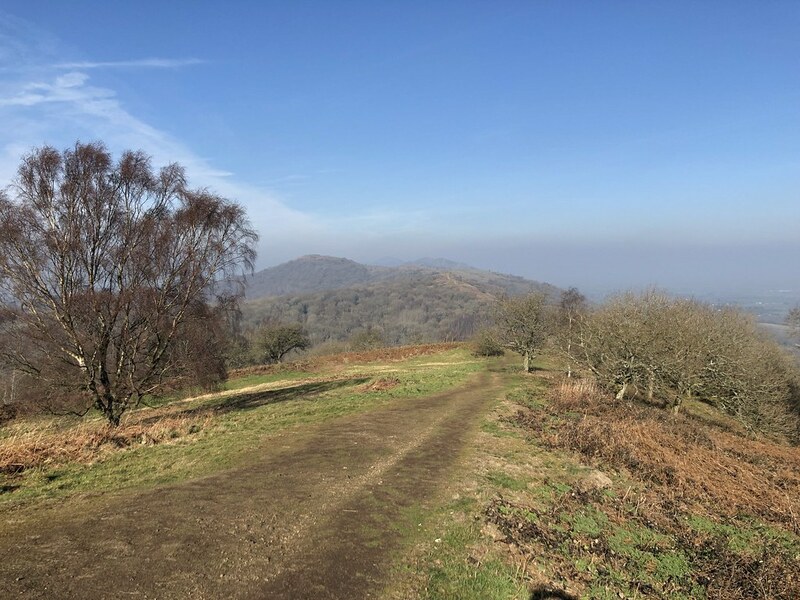 When I looked into the possibility of doing the linear walk it was always the difficulty of getting to the start and from the finish on public transport. Clearly need obliging family or friends like you have! 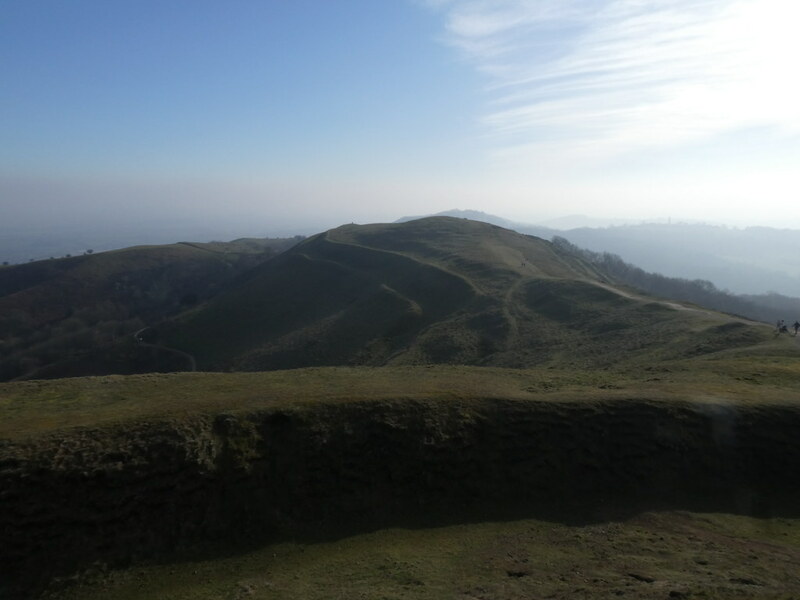 I’m sure I’ve whittled on about this before, but we used to have a day out to the Malverns from our primary school. I’m not sure why, but the sun always seemed to shine and I’ve always felt a great affection for them ever since. Long way to go fro a day out from Leicestershire, what’s wrong with Bradgate Park? Much as I like to be able to accuse you of trotting out old stories you’ve never regaled me with Malverns LITA.